What do Rotterdam and Thessaloniki have in common? 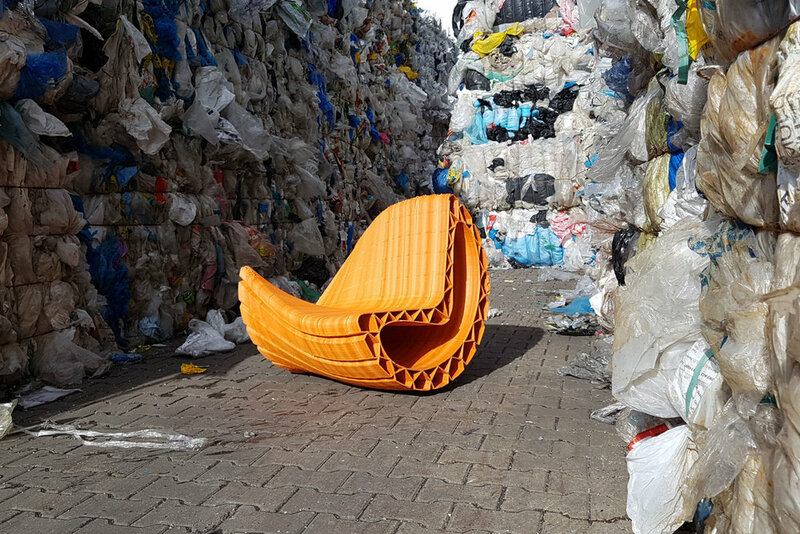 The Dutch and Greek cities have joined hands on a plastics recycling project to create a collection of ‘scrap art’ pieces that is both functional and sustainable. Design studio The New Raw has created a 3D-printing ‘laboratory’ for the citizens of Greece’s second largest city. Thessaloniki has over 800 000 inhabitants and has long been struggling with plastic waste. Its new Dutch partner showed an easy way to transform the recyclables into durable street ornaments and urban furniture. The project is called ‘Print Your City’, and features a range of all-in-one benches, plant pots, and bicycle racks. Their shape and function can be easily customised, and logo’s or personal messages may be included. The studio points out that, in Amsterdam alone, residents generate an average 23kg of plastic waste per person annually. This is enough to 3D print one bench for every two citizens of the Dutch capital. The Print Your City initiative is a part of the ambitious Zero Waste Future programme launched by the Greek branch of Coca-Cola.